U.K. government establishes world’s largest fully protected marine reserve and sets a new standard for monitoring. On March 18, 2015, The Pew Charitable Trusts and the National Geographic Society praised action by the British government today to create the world's largest fully protected marine reserve around the Pitcairn Islands, an overseas territory in the South Pacific Ocean. The 834,334-square-kilometre reserve (322,138 square miles) is roughly 3 ½ times the size of the United Kingdom. Home to at least 1,249 species of marine mammals, seabirds and fish, the new reserve protects some of the most near-pristine ocean habitat on Earth. In 2013, Pew and National Geographic joined the local elected body, the Pitcairn Island Council, in submitting a proposal calling for creation of a marine reserve to protect these spectacular waters. "With this designation, the United Kingdom raises the bar for protection of our ocean and sets a new standard for others to follow," said Matt Rand, director of Global Ocean Legacy, a project of Pew and its partners that advocates for establishment of the world’s great marine parks. “The United Kingdom is the caretaker of more than 6 million square kilometres of ocean — the fifth-largest marine area of any country. Through this designation, British citizens are playing a vital role in ensuring the health of our seas." Global Ocean Legacy, a project of Pew and its partners, is working with communities, governments,: and scientists around the world to safeguard some of the most important and unspoiled ocean environments. The project has helped to protect 3,432,334 square kilometers (1,325,231 square miles) of ocean—an area almost 10 times the size of the Great Barrier Reef and more than 14 times the size of the United Kingdom. Photograph by Andrew Christian"The Pitcairn Islands Marine Reserve will build a refuge of untouched ocean to protect and conserve a wealth of marine life," he added. "Today’s action by Prime Minister Cameron will protect the true bounty of the Pitcairn Islands — the array of unique marine life in the surrounding pristine seas," said National Geographic Explorer-in-Residence Enric Sala, head of Society’s Pristine Seas project. "Our first-ever scientific exploration of the area revealed entirely new species as well as an abundance of top predators like sharks." "It was like traveling to a new world full of hidden and unknown treasures, a world that will now be preserved for generations to come," said Sala. 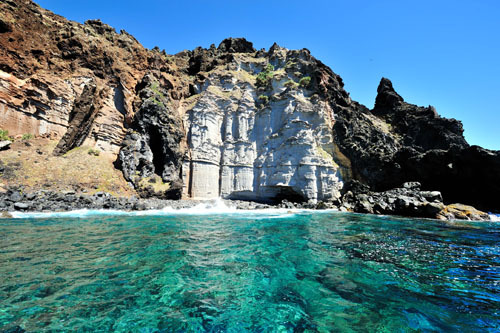 "The people of Pitcairn are extremely excited about designation of the world’s largest marine reserve in our vast and unspoiled waters of the Pitcairn Islands, including Ducie, Oeno, and Henderson Islands," said the Pitcairn Island Council. "We are proud to have developed and led this effort in partnership with Pew and National Geographic to protect these spectacular waters we call home for generations to come." A March 2012 scientific survey of Pitcairn's marine environment, led by the National Geographic Pristine Seas project in partnership with Pew, revealed a vibrant ecosystem that includes the world's deepest known living plant, a species of encrusting coralline algae found 382 metres (1,253 feet) below sea level. The reserve also protects one of the two remaining raised coral atolls on the planet as well as 40-Mile Reef, the deepest and most well-developed coral reef known in the world. 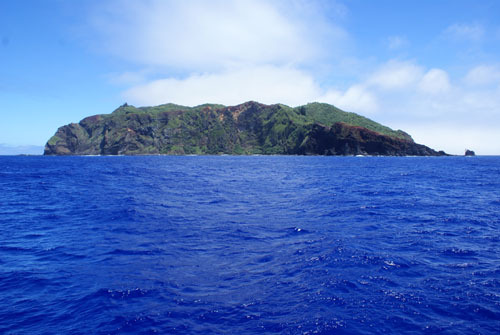 In conjunction with the designation, the Bertarelli Foundation announced a five-year commitment to support the monitoring of the Pitcairn Islands Marine Reserve as part of Pew’s Project Eyes on the Seas, using a technology known as the Virtual Watch Room. 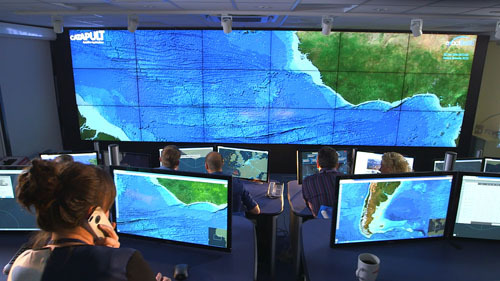 With this satellite monitoring system, developed through a collaboration between Pew and the U.K.-based company Satellite Applications Catapult, government officials will be able to detect illegal fishing activity in real time. This is the first time any government has combined creation of a marine reserve with the most up-to-date technology for surveillance and enforcement of a protected area. Ernesto Bertarelli of the Bertarelli Foundation said, "Advances in tracking technology are enabling us to monitor the ocean as never before and make marine reserves truly enforceable; these solutions, along with the commitment of individual governments are bringing about changes in how we protect the marine environment." Today's announcement is part of a growing international movement to safeguard important places in the sea that has protected more than 6.5 million square kilometres (2.5 million square miles) to date. Much of this activity has taken place over the last nine years. In April 2010, the British government created the Chagos Marine Reserve in the Indian Ocean — until today the largest continuous, fully protected area of ocean in the world. 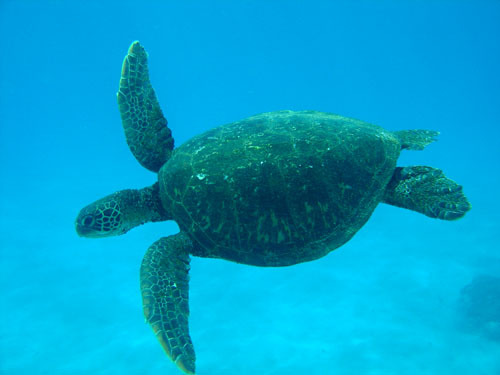 Most recently, in September 2014, U.S. President Barack Obama significantly expanded the Pacific Remote Islands National Marine Monument, first created by President George W. Bush, in the south-central Pacific. The Pew Charitable Trusts is driven by the power of knowledge to solve today’s most challenging problems. Pew’s Global Ocean Legacy campaign is a partnership of six individuals and organizations who share a vision: to protect the world’s ocean for future generations. Learn more at http://www.globaloceanlegacy.org. With a mission to inspire, illuminate, and teach, the National Geographic Society is one of the world’s largest non-profit scientific and educational organizations. The member-supported Society, which believes in the power of science, exploration, and storytelling to change the world, reaches over 600 million people each month through its media platforms, products, and events. National Geographic has funded more than 11,000 research, conservation, and exploration projects, and its education programs promote geographic literacy. The Pristine Seas program seeks to help protect the last wild places in the ocean over the next five years. For more information, visit http://www.nationalgeographic.com, and find us on Facebook, Twitter, Instagram, Google+, YouTube, LinkedIn and Pinterest. This news is from The Pew Charitable Trusts, 18 March 2015. This article was published on the Horizon International Solutions Site at www.solutions-site.org on 18 March 2015.